Here is a very quick update for those wanting to know, first thing in the morning, about the latest on the ice storm. 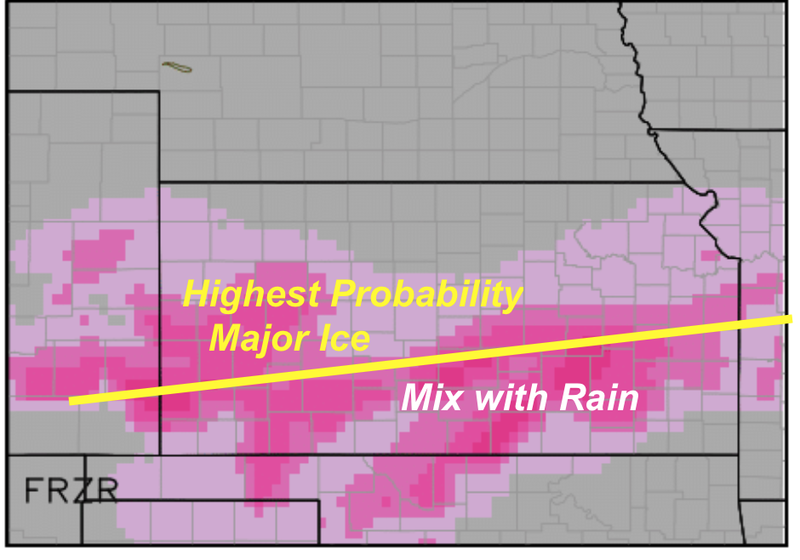 It looks like the highest probability of serious ice accumulation is between the yellow line and Interstate 70 in Kansas, Missouri and eastern Colorado. 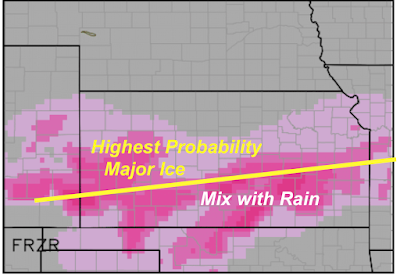 It will begin in Kansas and Missouri midday Friday as very light precipitation. The freezing rain in Colorado will likely not begin until Friday evening. I will update this forecast as additional data allows. Do you foresee this impacting MCI airport (other than deicing ops)? I have a connection mid afternoon on Friday.